A pub I remember fondly as it is one where I used to morris dance at when I was a student at the University of East Anglia with the Yare Valley Morris. A small beamed village pub that's been around for a little over 300 years . Up to five very well kept real ales on offer including beers from Adnams. 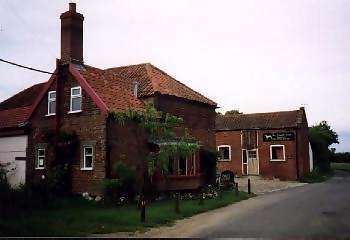 Very much a locals pub with few outsiders visiting mainly because it is really is buried in the middle of nowhere in rural South Norfolk, between Norwich and Diss. For many years RAF Tibenham was active and although now long gone the airfield is used by the local gliding club. The pub still has ties with the former airfield and former veterans and families often visit. The pub serves a good Sunday lunchtime carvery between 1 and 3pm and offers food on other evenings. Keep an eye on their website for forthcoming events. If you're just visiting the area I can certainly recommend this lovely pub for its traditional and rural atmosphere where I'm sure you'll receive a warm welcome and tasty East Anglian pint of beer.